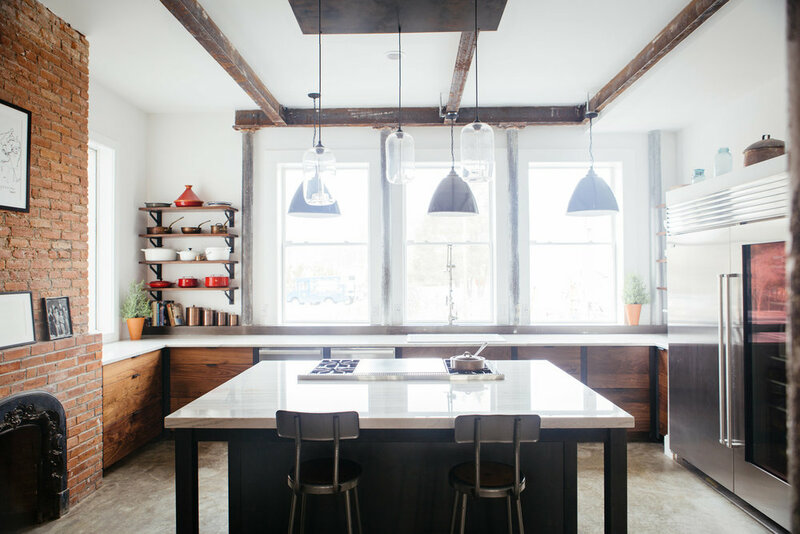 We were so excited to collaborate with the homeowners to create a kitchen that looks beautiful and functions well. She is a talented baker and chef, and we were able to customize the space to accommodate everything from cookbooks to tea. The solid walnut fronts and blackened steel frames with exposed leveling feet create and organic industrial furniture feel. All of the shelf brackets and cabinet pulls were custom steel.